Police say Luis Bianchi, 25, was arrested and charged with child neglect. 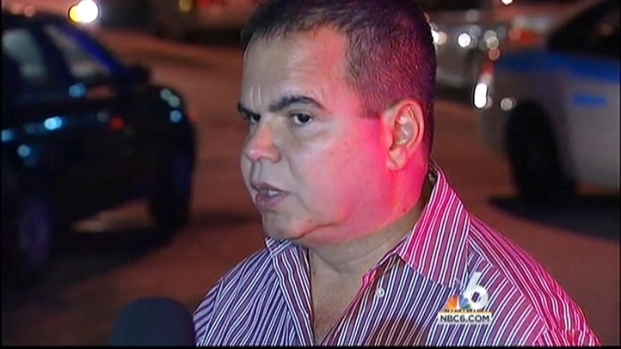 Police have found the father of the girl left alone in an apartment full of weapons in Little Havana. 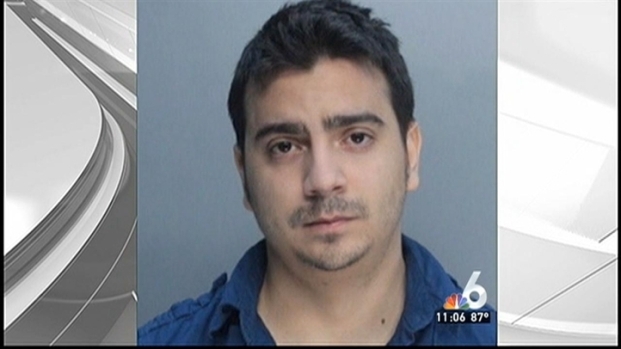 Luis Bianchi, 25, is being held on $5,000 bond on child neglect charges, according to Miami Police. Officials began looking for the man Wednesday night when they were alerted that a 3-year-old was roaming the halls of her father's apartment at 922 SW 3rd Street. 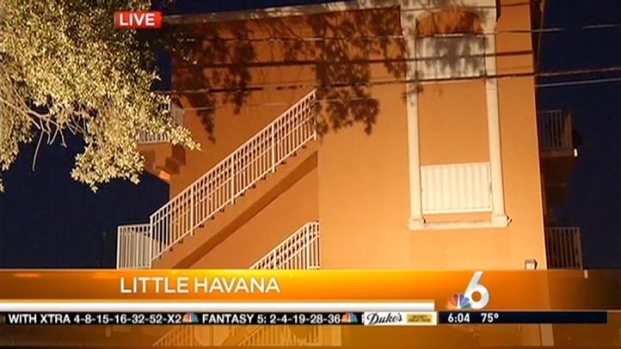 Police have found the father of the girl left alone in an apartment full of weapons in Little Havana. NBC 6's Julia Bagg has the story. Officials said the weapons were unsecured and in arms reach of the child. Police say Bianchi turned himself in after seeing the report on the evening news. He told officials he left his daughter at the apartment at about 6 p.m. after speaking to her mother, who said she was on her way, the affidavit said. Police are still searching for the parents of a three-year-old girl who was left alone in a Little Havana apartment that was full of weapons, including a grenade. NBC 6's Julia Bagg has the story. Since he was running late to work, he said he sat his daughter down in front of the television, put a couch against the door to his room where the weapons were and left, according to the affidavit. He told police that he left the door to the apartment locked before leaving, officials said. When police asked him about the weapons, he said he leaves them on a table, but blocks the door to his room with the couch, the affidavit said. Miami Police said they found a grenade, several assault rifles and an arsenal of ammunition in a Little Havana apartment Wednesday as they tried to locate a 3-year-old girl's parents. Gabby Samaniego, Miami Police spokesman Det. Willie Moreno, the girl's grandfather, and neighbors Yashera Thompson and Justin Jasper spoke about the incident. However, officials said the couch was not completely blocking the door. Also, Thursday, the Department of Children and Families has to do a home study to see who will get custody of the girl. Her mother was at a custody hearing but the girl had been with Bianchi after the mother had said last year that she couldn't financially take care of her. There is another hearing set for Friday.